In the middle 1990’s AC laid off pilots that were hired late 1980’s. Many of these pilots were second officers at AC and prior to that had no jet time or no command time over 12,500 lbs. After the layoff, many came back as CRJ Captains. Not ideal, but it happens. The result could be 2 pilots up front with as little as a grand total of 100 hours of combined jet experience (all accumulated under supervision). Not quite correct. Jazz, or Air Ontario as it was at the time, did not have CRJ's during the period you mentioned. I wasn’t talking about Jazz. I was talking about AC in 1995 when the CRJ’s first arrived. AC did not have any minimum experience requirements for left seat in the CRJ. Seniority and licence was all that was required to attempt upgrade. As for Jazz, both SKY and GGN have minimum experience requirements for the left seat of a jet. Jazz does not. Seniority and licence for upgrade opportunity. And the one on March 26 had 4 on course. That is correct SkyPirate. And beyond that timeflies is still not completely accurate... not that it matters. Because they’re finally running out of applicants. Hi guys I would like to know how long it takes after all the process with the medical examination and the background check to get a response from Jazz ? This is absolutely not true. It’s based on personnel requirements. Out of curiosity, how do the 4 Jazz pilot bases break down in terms of # of pilots at each ? And which bases have the largest # of RJs, or Q400s or Dash Classics at each ? Rowdy don’t you work at Jazz? You should know we’re very overstaffed right now, especially with the Voyageur LOA being announced. It’s not a case of running out of applicants. What is this Vouyager LOA?? This sounds interesting! Details! Also what have the new hire bids been like recently? The voyageur LOA is there because they simply cannot find people for the african contracts with the UN. 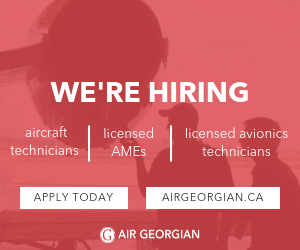 There is specific time requirements for those and not many dash and rj pilots around looking for work. Very easy to use a bunch of your own..
We have a huge number of people in the training environment with a lack of sim availability.. That came right from the source. While we do carry a significant amount of extra crews right now, that will change very quickly in the fall when AC continues to take from us. A memo came out today about it. I also imagine it will be a BUSY summer and the extra crews will be needed. Even More so if WJ does move to strike. Does anyone know the equipment bid for the September class? Was there an October class? If so any info on the bids? Yes there was an October 1st class. 8 I believe and all RJ and Q. Not sure where. There will be a Nov and December class from what I've heard. As for next year sounds like 150-200 pilots to be hired. Rough estimate based on attrition to AC.